In July 2018, our Chair, Nick Gazzard, took part in a an innovative theatre performance by Behind Closed Doors (theatre group) at Bristol Civil Court, highlighting issues that arise within family and social care law. The plays are based on stories about the abuse of children, parental separation, state intervention in family life and other aspects of family and social care law. During the performance the action on stage is stopped from time to time and a facilitator encourages the audience to ask questions of the actors; the actors reply in role with very heavily researched back stories. The actors may also ask members of the audience for advice (e.g. the woman who has been hit by her partner in a domestic violence scene may ask: ‘What do you think I should do now? Should I leave him?’). At times the scripts are very graphically worded and depict scenes that some may find extremely distressing. The plays are not suitable for children under the age of 16 without express and fully informed parental consent. Performances like this provide an invaluable method of training for professionals who are involved in the family justice system. The audience was made up of lawyers, judges, social workers, Cafcass officers, students, the media, other professionals and members of the general public. 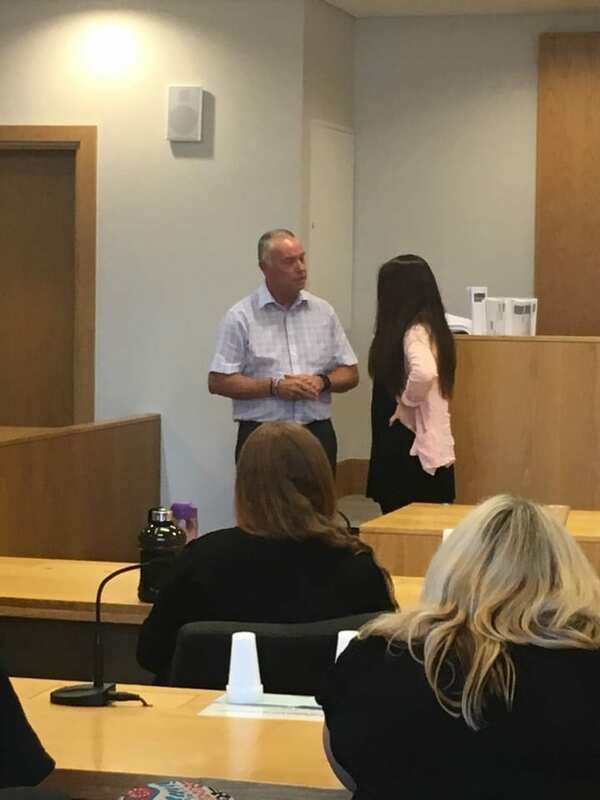 Having been invited to the event by Family Judge, Stephen Wildblood QC, Nick was involved in the discussion and observations between scenes, but was also given the opportunity to tell Hollie’s story, and to deliver information about the Working Without Fear program which he delivers. Working Without Fear is a tailored programme designed to show employers the vital role they play with regard to safeguarding their staff through training, education and raising awareness of the issues. The benefits to the company are numerous including promotion of the business as a socially responsible employer, an increase in profit margins due to retention of the best available staff, together with a reduction in staff absences and turnover and an environment that encourages and supports employees. This was a great opportunity to be able to spread awareness of the Hollie Gazzard Trust and the work Nick does with Working Without Fear.